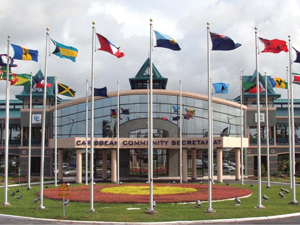 In early March 2014 the heads of Caribbean Community and Common Market (CARICOM) met in St. Vincent to discuss a number of issues including reparations for the crimes against humanity during the African Slave Trade. It was ironic that Trinidad & Tobago Prime Minister Kamla Persad Bissessar would return home declaring the progress of CARICOM in its discussions on this topic when her Indian government has shown absolutely no interest whatsoever in any kind of compensation for the enslavement of Africans. As a matter of fact (without calling any names) her government and advisory cadre is laden with persons who have heaped scorn on any kind of representation of the liberation interests of African people. But thank Allah that other governments around the Caribbean think differently. In 2012, I embarked on a Caribbean Tour with the Honorable Minister Louis Farrakhan where he met with a number of prime ministers and opposition leaders, and engaged in dialogue on this subject and there were ample moments where I encountered embarrassment over the T&T Government’s overt disdain and lack of concern for the heritage of its Black population. 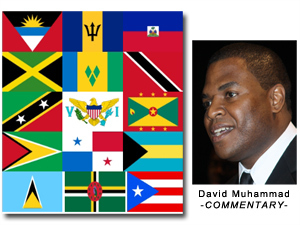 One year later, in 2013, I once again toured through seven Caribbean nations on behalf of the Minister conducting public lectures, study groups and media interviews. The more I travel through the region, the more I become convinced of the power and potential of the wisdom of Minister Farrakhan in the West Indies. In visiting 12 out of the 15 full member states of CARICOM, I can hardly recall being anywhere where there were not signs of consciousness among the masses. But back to the issue of reparations; in 1999, the African World Reparations and Repatriation Truth Commission called for “the West” to pay $777 trillion to Africa within five years. In 2004, Lloyds of London was sued by the descendants of African slaves. The case was not successful. In February 2004 Minister Farrakhan hosted a global Reparations Conference in Chicago attracting thousands of people from across the states and overseas. In Jamaica that same year a coalition of Rastafari Movement groups argued that European countries formerly involved in the slave trade, especially Britain, should pay 72.5 billion pounds sterling to resettle 500,000 Jamaican Rastafarians in Africa. The claim was rejected by the British government, which said it could not be held accountable for wrongs in past centuries. In 2007, Guyana called for European nations to pay reparations for the slave trade. In 2011, Antigua & Barbuda called for reparations at the United Nations, saying “that segregation and violence against people of African descent had impaired their capacity for advancement as nations, communities and individuals.” In 2012, Jamaica revived its reparations commission, to consider the question of whether the country should seek an apology or reparations from Britain for its role in the slave trade. In Trinidad & Tobago the Nation of Islam has held numerous discussion sessions on reparations. Also in 2012, the Barbados government established a 12-member Reparations Task Force, to be responsible for sustaining local, regional and international momentum for reparations. In 2013, in the first of a series of lectures in Georgetown, Guyana to commemorate the 250th anniversary of the 1763 Berbice Slave Revolt, the Principal of the Cave Hill Campus of the University of the West Indies, Sir Hilary Beckles, urged CARICOM countries to emulate the position adopted by the Jews who were prosecuted during the Second World War and have since organized a Jewish reparations fund. Reparations were also granted under the Civil Liberties Act of 1988, signed into law by President Ronald Reagan, where the U.S. government provided reparations of $20,000 to each Japanese American survivor of internment in America and compensate for their loss of property and liberty during the Second World War also. For many years, Native American tribes have received compensation for lands ceded to the U.S. in various treaties. Vincentian Prime Minister Ralph Gonsalves told Britain’s Observer newspaper he instructed law firm Leigh Day to bring a case against the UK, France and the Netherlands for reparations for slavery. With the backing of the 15 Caricom heads of state, Gonsalves believes the case could be heard in the international court of justice at the Hague. In 2008 the American Humanist Association argued that if emancipated slaves had been allowed to possess and retain the profits of their labor, their descendants might now control a much larger share of American social and monetary wealth. Harper’s Magazine estimated the total of reparations for slavery due is over $100 trillion, based on 222.5 million hours of forced labor between 1619 and 1865, with a compounded interest of 6 percent. It is essential that we in the Diaspora have an archived body of knowledge that specifically documents the experiences of people of African descent so that future generations can participate in righting historical wrongs. A people without a knowledge of their history are like a tree without roots but a people who do not properly document their history run the risk of having that history rewritten for them.